Photography credit to Ann Norton. Located across the street from the Mt. Baker Light Rail station at McClellan and 25th, Stazione25 will be the newest hub for urban living in the Mt. Baker and Beacon Hill neighborhoods. 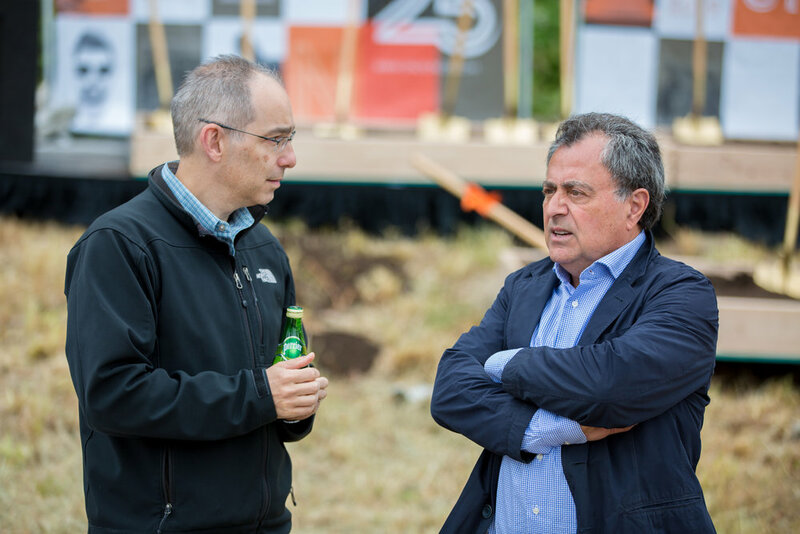 Michael D. Ross and Robert B. Spitzer, the principal owners of the development, are excited that Stazione25, with 300+ units, will provide many families and workers with high-quality housing and quick access to Downtown Seattle by Summer 2019. Stazione25 will also offer affordable housing as part of the Seattle Multi Family Tax Exemption (MFTE) Program, setting aside at least 20% of the units for income eligible households with rents capped at affordable levels. On average, a family renting a two-bedroom unit will save on average $600 a month on rent. 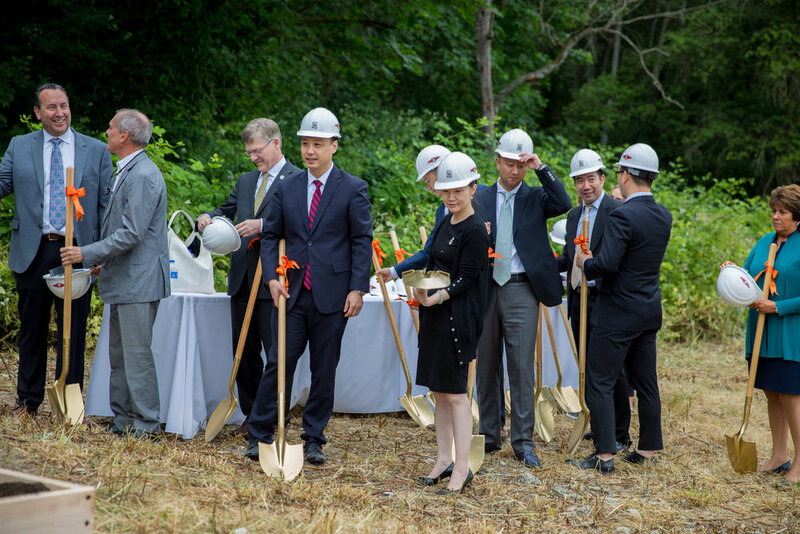 At the groundbreaking ceremony on Tuesday, June 27th, there were 54 people in attendance, including the developers, architects, the marketing and branding team, the construction company, and a delegation of Chinese investors. Suzanne Zahr, the owners’ representative and development manager, is responsible for creating the brand identity and managing the development for Stazione25. She speaks the many different industry languages, including real estate, design, construction, finance, marketing, and user experience. As the representative for Ross and Spitzer, Suzanne facilitates the communication between all of the various teams to ensure timely progress. To develop the brand identity behind Stazione25, Suzanne is joined by Principal and Creative Director Laurent Bourscheidt of L + B Design, who has captured the image and identity of Stazione25. As a place inspired by the pioneer spirit of the Pacific Northwest, Stazione25's brand identity incorporates an industrial railway theme through a typeface that looks like railroad tracks, along with using metallic foils and varnishes juxtaposed with an eye-popping accent of orange. The combination of vintage and contemporary portraits seen in the marketing collateral are a nod to the rich history of Rainier Valley. Combined with modernist color blocking application, these images represent the changing neighborhood that Stazione25 will be joining. Last week, we interviewed Ross to learn more about the story behind their brand identity and the goals that the team hopes to achieve with the creation of Stazione25. Julia Hess: What most excites you about seeing Stazione25 come to life? Michael D. Ross: We have been working on this project for about 8 years. The Mt. Baker Station was planned when we started working on Stazione25, but even before it was built, we recognized the site’s value given its proximity to a future light rail station. Getting each of the parcels [of land] under contract and then going through the entitlement process (MUPS and Contract Rezone) took a good deal of time. Originally, our plan was to simply get the entitlements and sell the property to a developer, but as the work progressed, we became enamored with the site and the project our team helped us design, including the branding. Robert Spitzer and I decided we would find a way to develop the project ourselves and went about picking a team that could help reach that goal. JH: How has the Link Light Rail influenced Stazione25? MDR: We felt our branding needed to capitalize on the light rail station next door, since the first thing that attracted us to the property was its close proximity to the light rail. We studied how good development spots near transportation hubs are valued at a premium, and we recognized the economic opportunity of being adjacent to the light rail station. Rob and I intend to be long term holders, and we also recognized that the residents of Stazione25 will be able walk out the front door and travel on light rail to their place of employment throughout Seattle. Within years, they'll have even more access to other areas of north and south Seattle, Bellevue, Redmond, and much more. JH: How did the process of developing your brand identity shape your vision for the project? MDR: Vice versa, actually! The process of developing the project informed the brand, especially with its proximity to the Mt. Baker Station. The diversity in the Mt. Baker Station area was already reflected in the ownership of the properties we acquired. 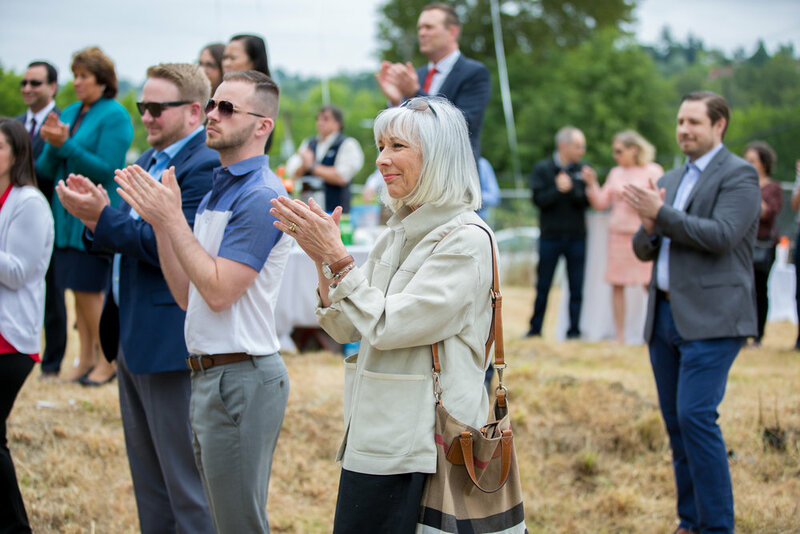 It was background and the stories of the property owners that deeply inspired our brand identity, and it was remarkable to hear everything they had to share. We wanted our brand to latch onto a piece of that story. JH: How does the brand identity behind Stazione25 celebrate the diversity and community of the neighborhood? 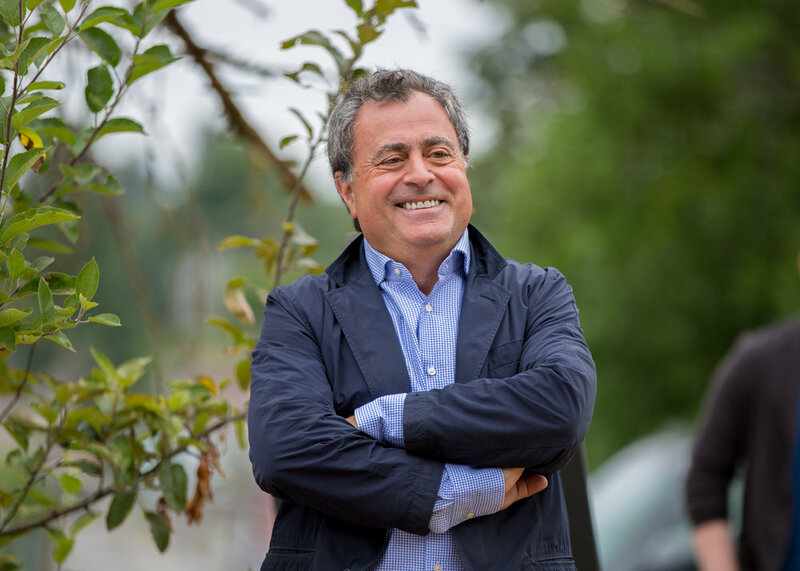 MDR: Several of our sellers were descendants of the original Italian American families that settled in the Rainier Valley. That Italian heritage is still pretty clearly reflected in some of the notable retailers and businesses in the Rainier Valley. We paired that heritage with the proximity to the rail line in developing the Stazione25 brand. Incidentally, my father’s family (Jewish immigrants from Belarus) also settled in the Rainier Valley after leaving Minot, North Dakota, so I feel a connection to this area. All of this diversity can be seen in our branding, combining an industrial style with a contemporary feel. JH: What are your thoughts on the changing dynamics of the Mt. Baker / Rainier Beach neighborhood? MDR: We hope that we are enhancing the neighborhood, not changing it. Our project, while market rate, is intended to serve the work force. We hope it will help to activate the neighborhood by attracting tenants who thrive in a multicultural area and who will attract businesses to serve their needs.